Preserve precious insights from your spiritual journey! Ideal for both men and women, this beautifully crafted personal journal brings together the elegance of a leather-look cover with the underlying durability of hardback binding. 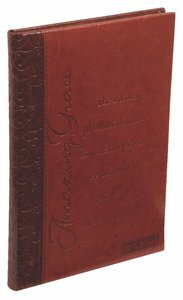 About "Two Tone Journal: Brown/Dark Brown Amazing Grace"